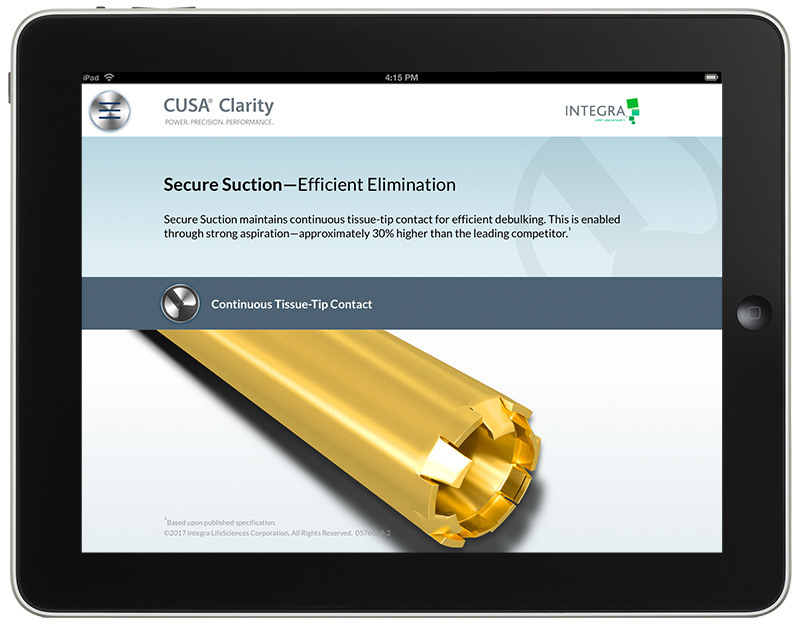 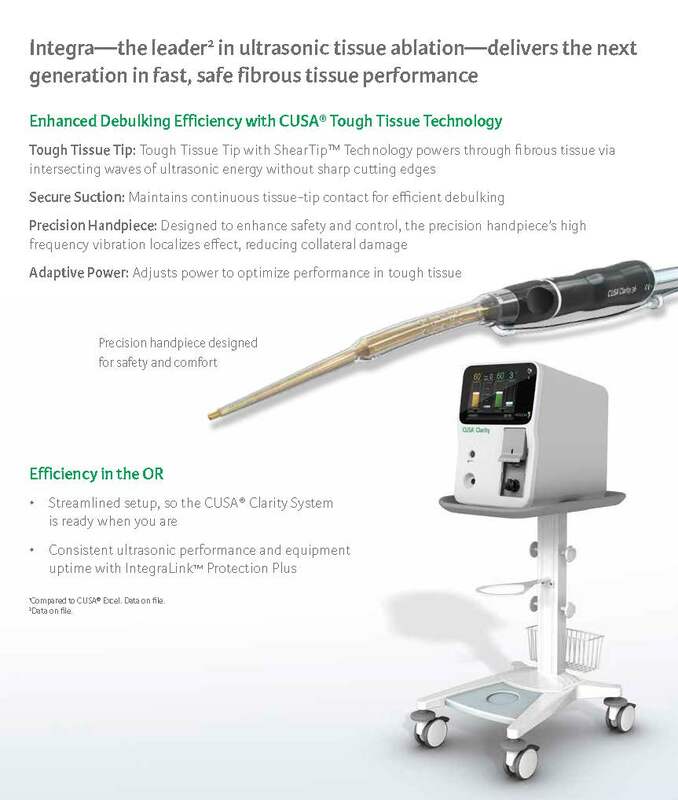 Reality testing: Integra’s CUSA Excel, long the standard in the neurosurgical market, was facing new competition–so Integra decided it was time to design the new CUSA Clarity, the next generation in ultrasonic tissue ablation. 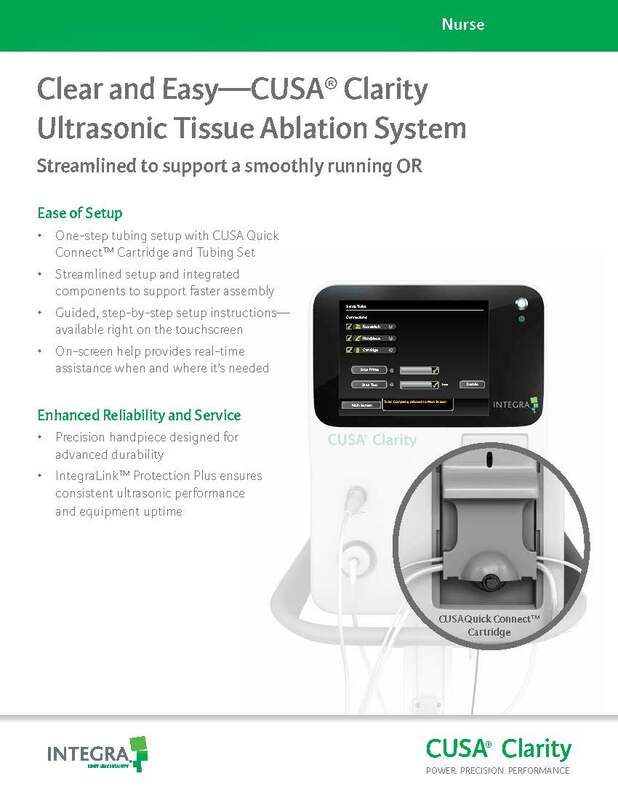 The company recognized it was time to design the new CUSA Clarity, the next generation in ultrasonic tissue ablation. 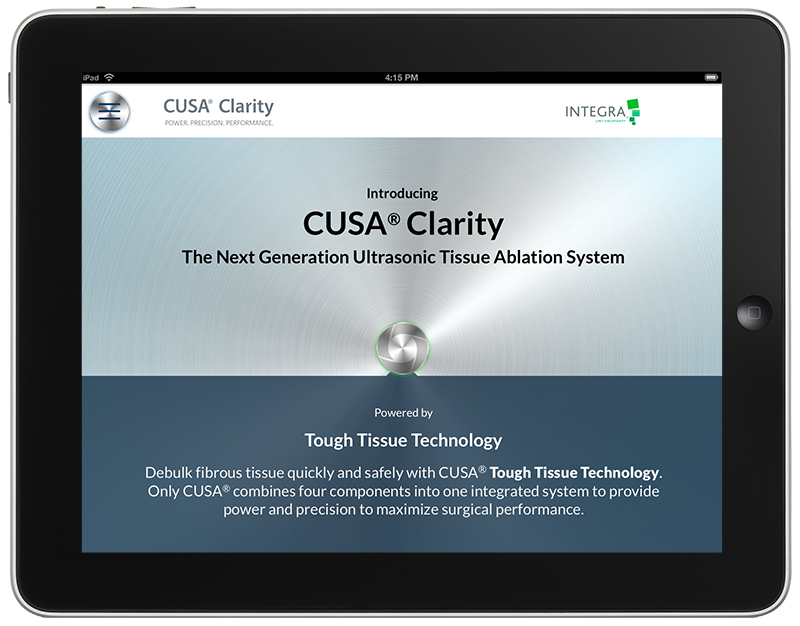 REALITYRx found that neurosurgeons had niched CUSA as a tool for limited, finer tissue removal. 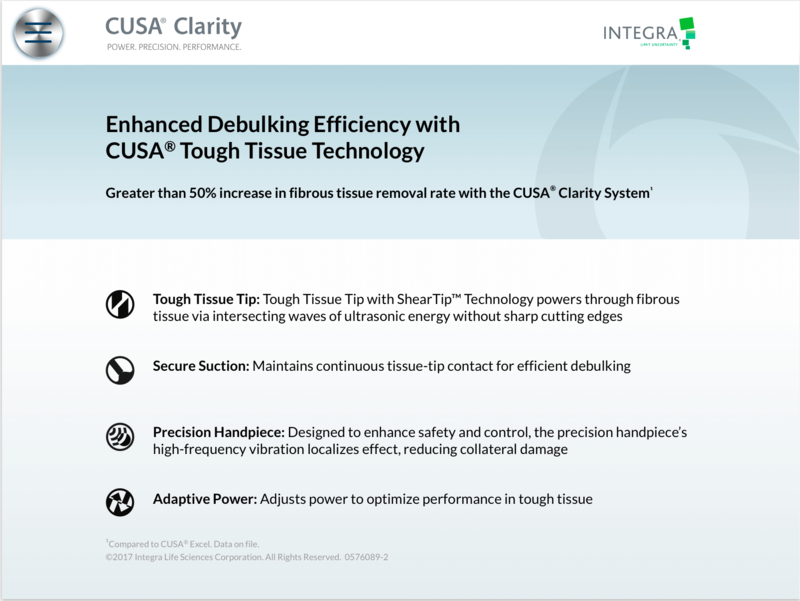 The challenge was launching the new CUSA Clarity as a tool with power, precision, and performance advantages that set it apart from both its forerunner and the competition. 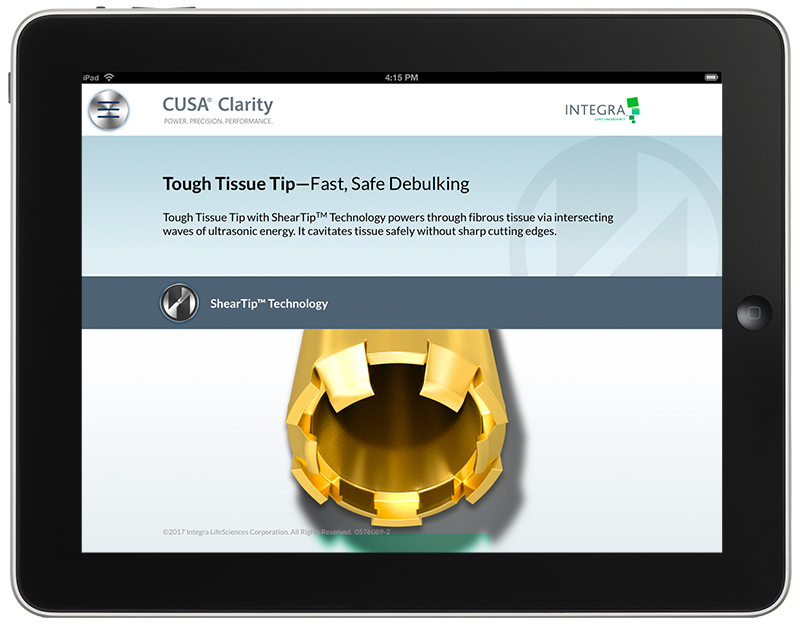 Inventing the reality: To shift the perception of CUSA from limited strength to broad effectiveness, REALITYRx created a tough, fibrous beast that proved to be no match for CUSA Clarity’s enhanced performance and ability to optimize quick, safe debulking of fibrous tissue. 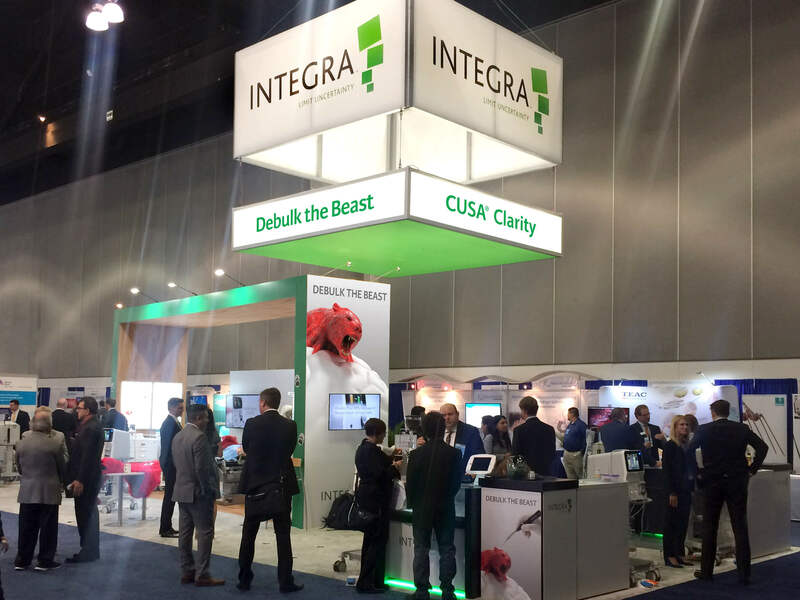 Envisioning a new reality: REALITYRx’s unique, attention-getting concept centers on a raging beast symbolizing a fibrous tumor rising out of the brain before the surgeon vanquishes it. 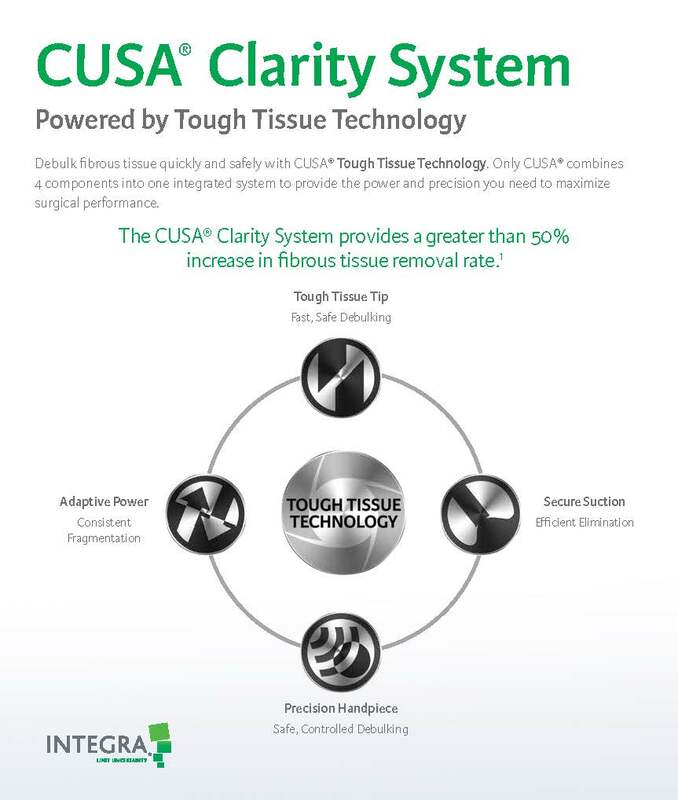 With its strong, visceral appeal, the visual demonstrated that these tumors are tough, but not too tough for CUSA Clarity. 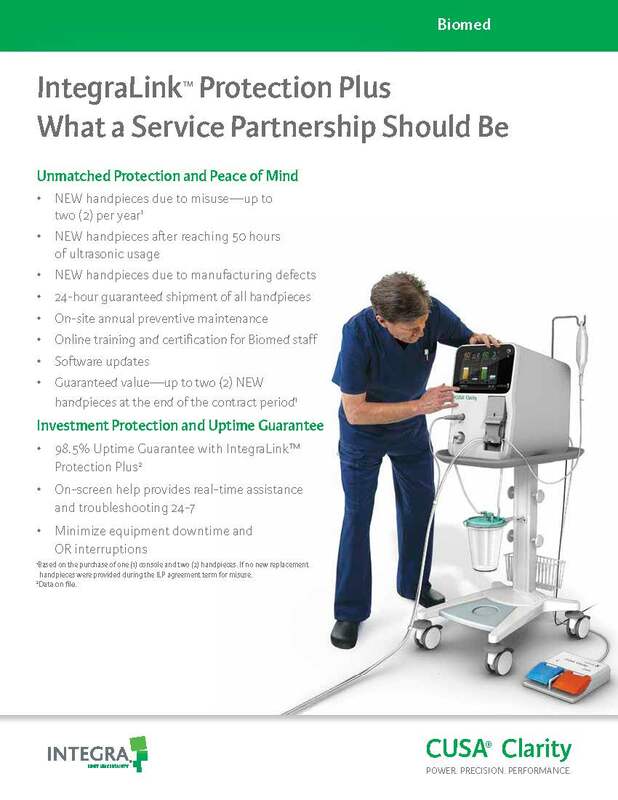 REALITYRx designed the launch materials to portray the brand’s enhanced performance, missing no opportunity to reinforce the brand value and core messages. 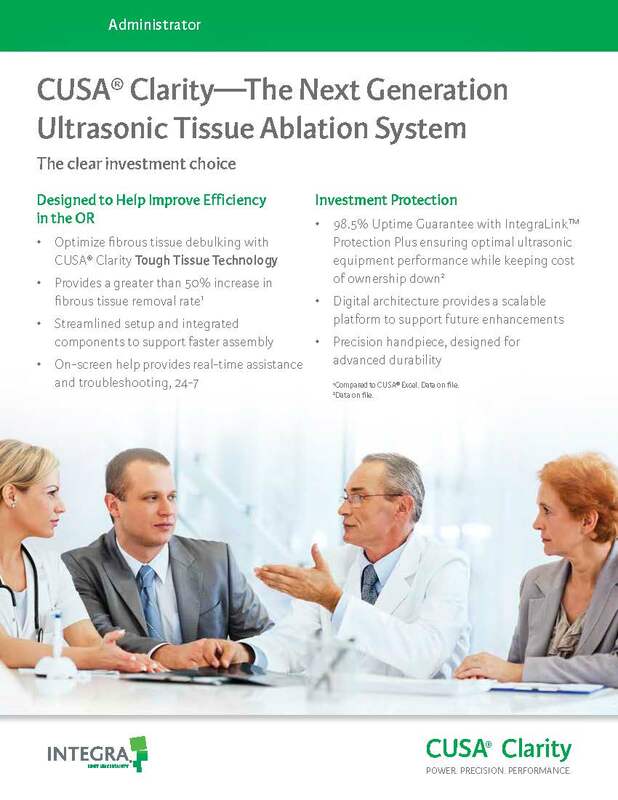 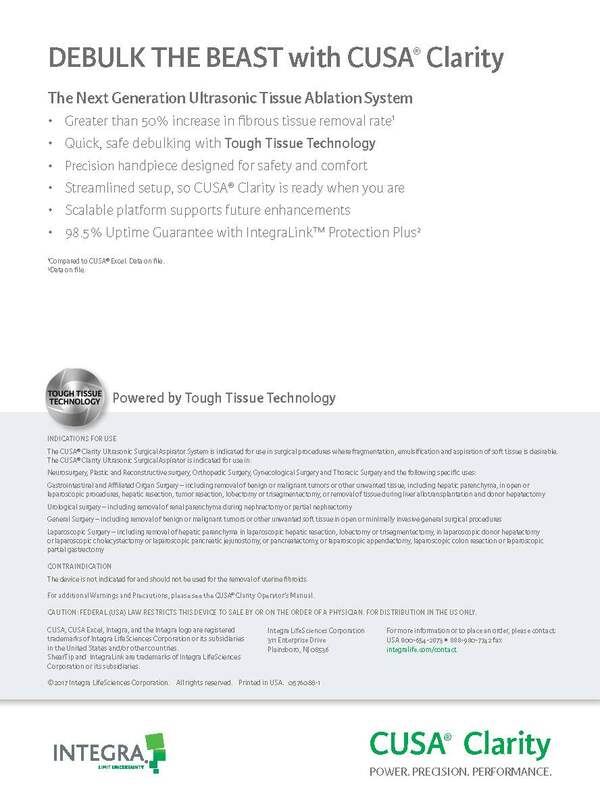 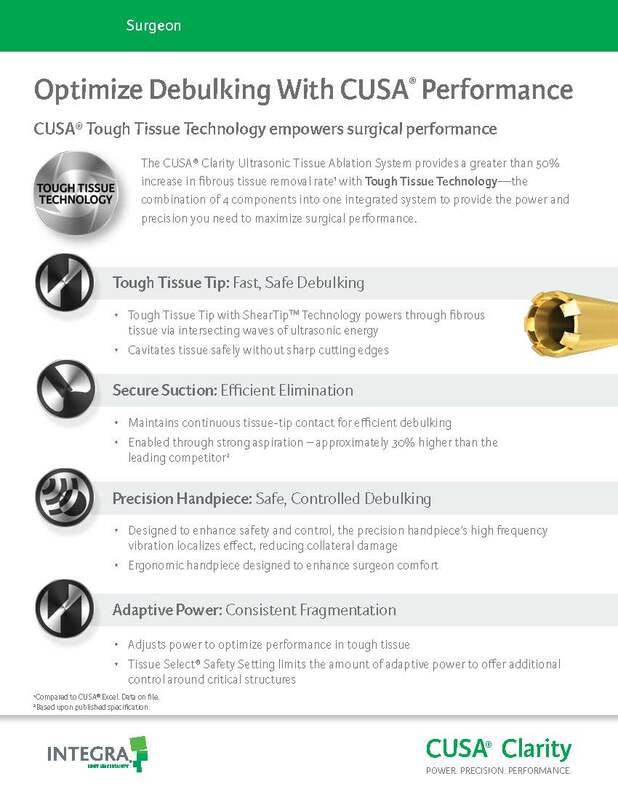 This high-impact brochure conveys how the next generation CUSA Clarity delivers enhanced performance to help neurosurgeons optimize quick and safe debulking of fibrous tissue. 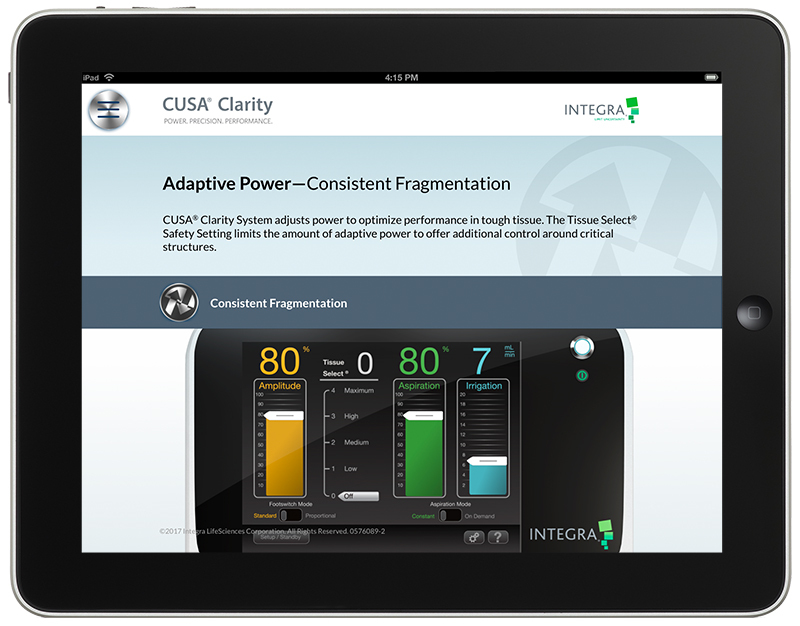 The dynamic app helps reps inspire HCPs to trade up to CUSA Clarity. 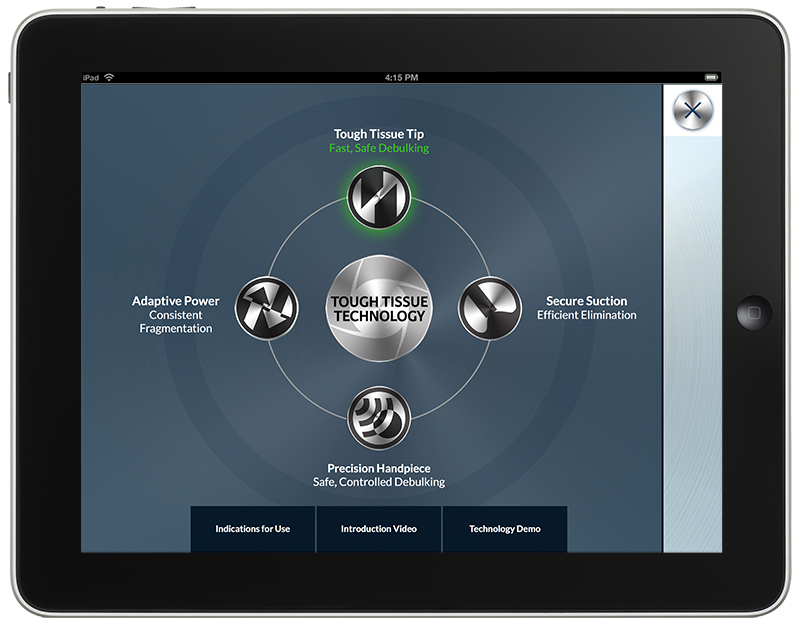 An iPad-friendly video delivers animated vignettes that bring Tough Tissue Technology’s advantages to life. 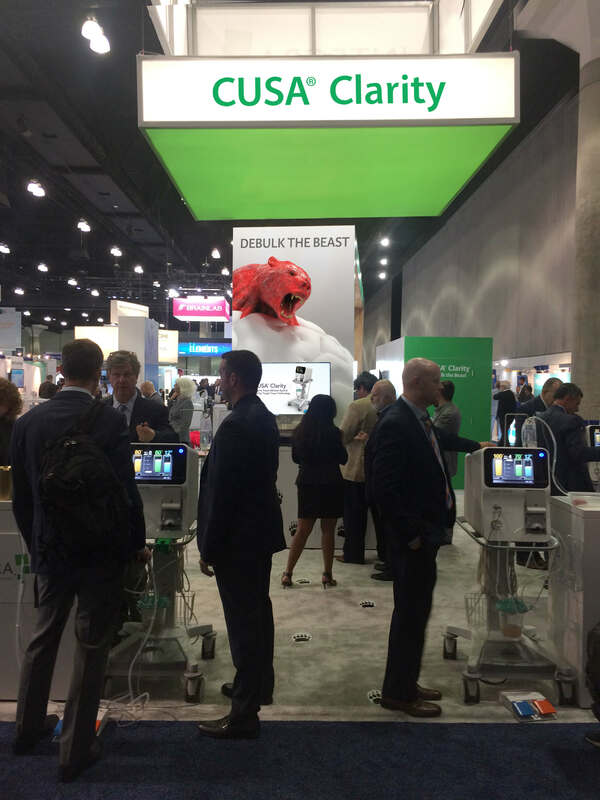 REALITYRx‘s startling red beast was an immediate hit at AANS. 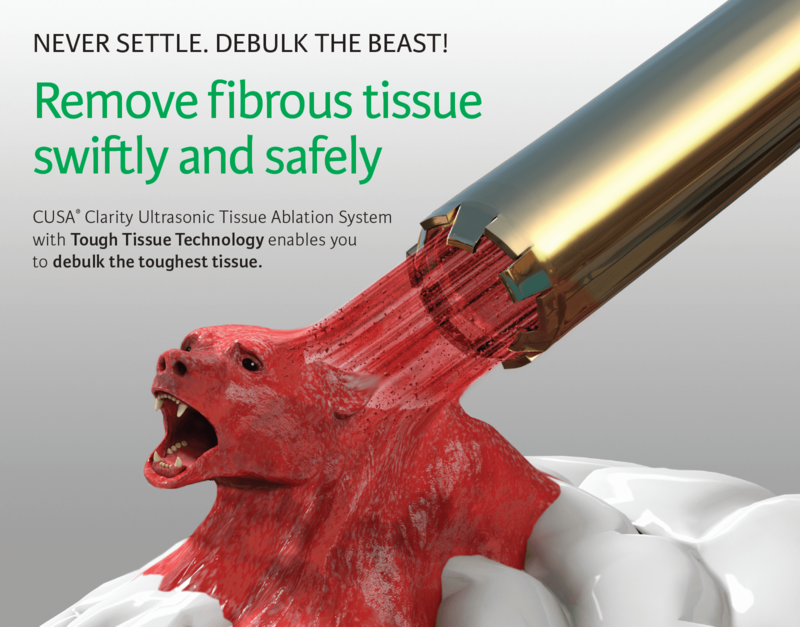 The image roared from atop the booth’s centerpiece and was echoed by a red “beast skin” rug. 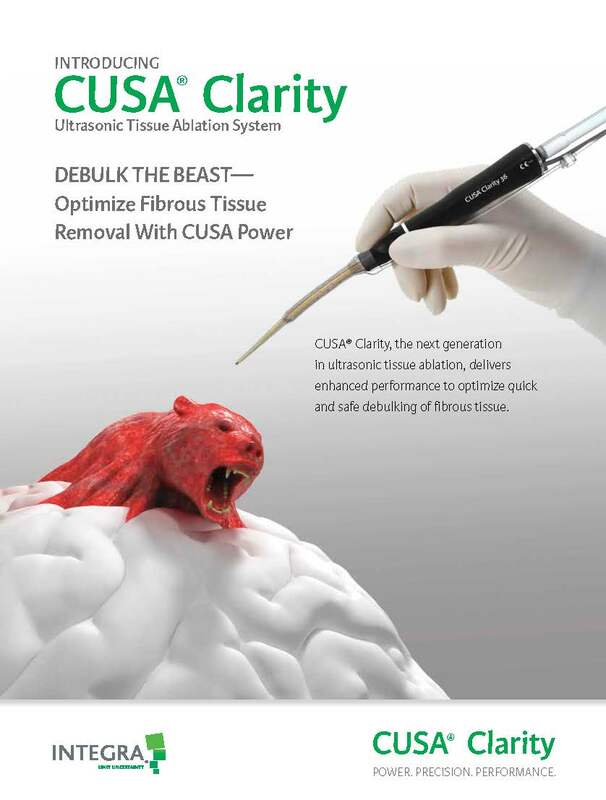 Reps in red “beast” hats used the concept to explain CUSA Clarity’s superior surgical performance. 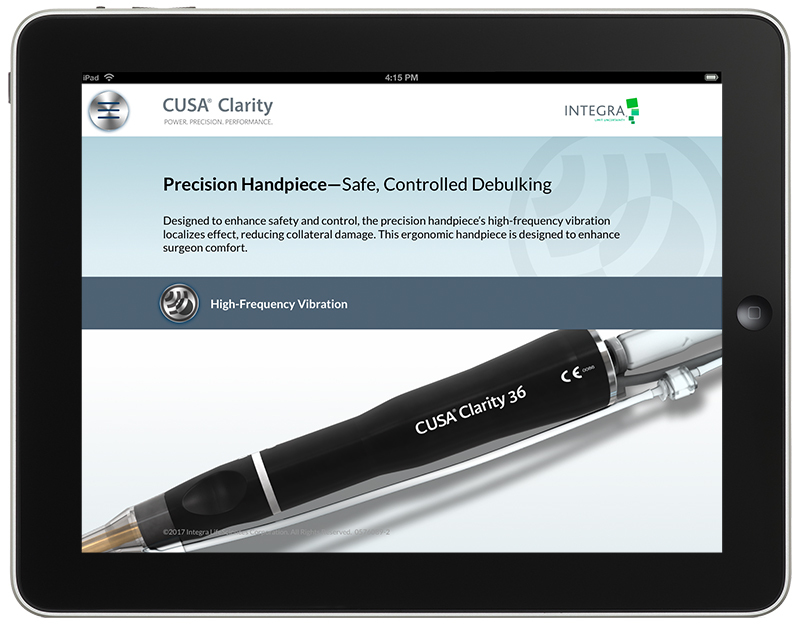 With cinema-quality production values and life-like 3D animations, the video walks the viewer through the system’s simple setup, enabling the neurosurgical support team to quickly feel confident about using CUSA Clarity. 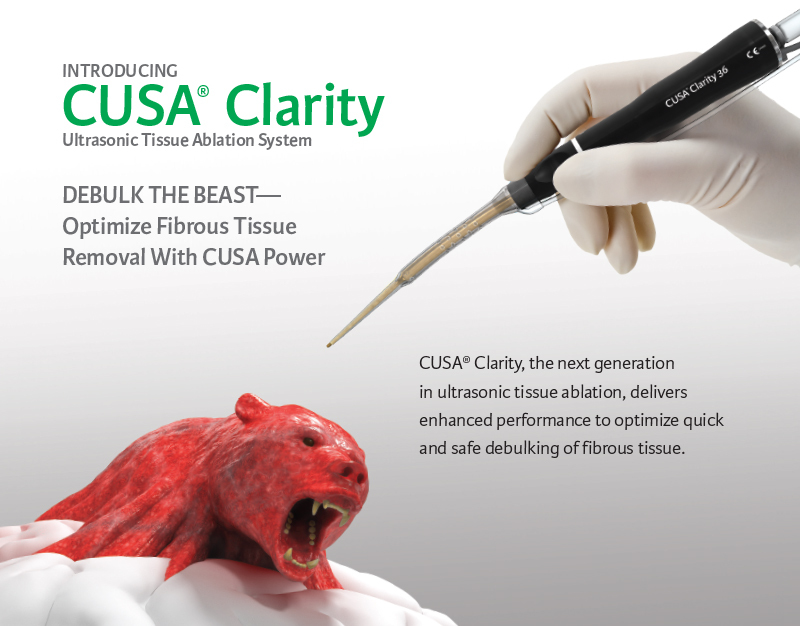 This ultra-clean video, created with photo-realistic 3D product renderings, introduces CUSA Clarity and the Tough Tissue Technology components that help neurosurgeons and their support staff “Debulk the Beast” that is fibrous tissue.